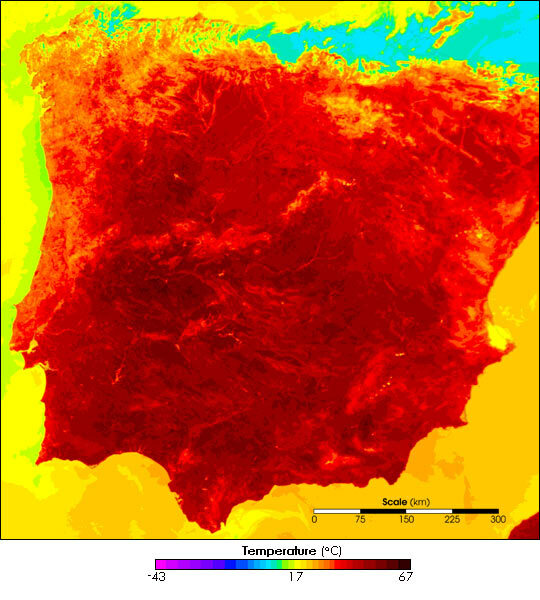 On July 1, 2004, Spain (roughly the right-most three-quarters of the peninsula) and Portugal (left-hand quarter) were in the midst of a blistering heat wave that cost several people their lives. When the Moderate Resolution Imaging Spectroradiometer (MODIS) on the Aqua satellite captured this image (13:35 UTC, or 2:35 p.m. local time in Lisbon, Portugal) cool, sheltering clouds hugged only the northern coastline, while the rest of the country baked in the Sun. 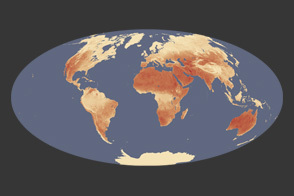 The image shown here is land surface temperature observations collected by MODIS that scientists have color-coded in shades of pink (coldest temperatures) to blackish-red (highest temperatures). 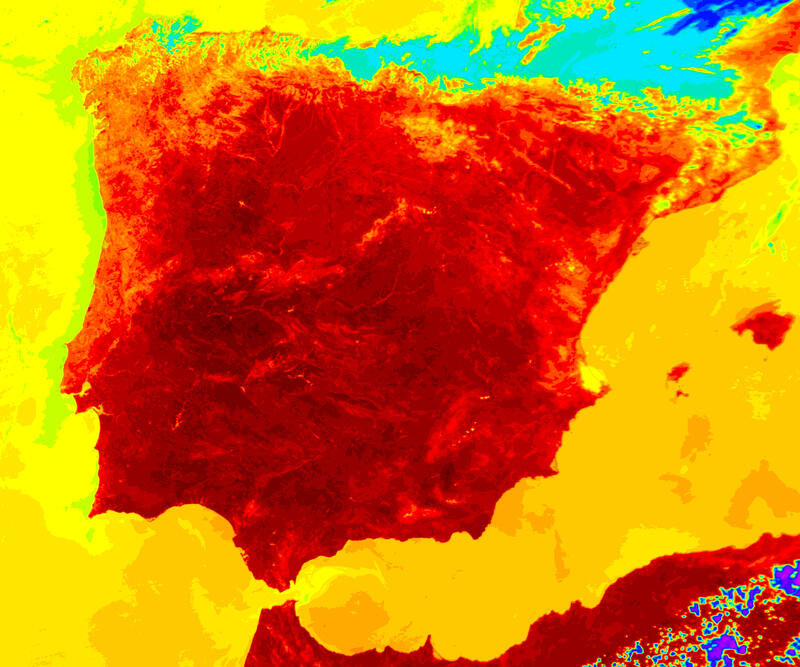 Deep reds dominate the country, especially around the central part of the border between the two countries, where land surface temperatures reach a scorching 59 degrees Celsius (138 degrees Fahrenheit). According to news reports, air temperatures were above 40 degrees Celsius (over 100 degrees Fahrenheit), and energy demand for air conditioning and refrigeration had caused power blackouts in places. A natural-color version of this image is available on the MODIS Rapid Response System Website.